'Splendor' was the name given to a pair of wheels that struck the Indian roads back in 90s. The intense popularity of this bike brought in many versions of the same model. After 18 years of the bikes first release the upgraded model Splendor Pro with alloy wheels, self start switch, attractive speedometer and fuel gauge with circular outline of chrome ring, a black muffler with chrome plated cover is available in the market 8 attractive base colors and some descent graphics which give a professional look to the bike. The company sticking to the basic model in many other factors has brought the new version of Splendor. 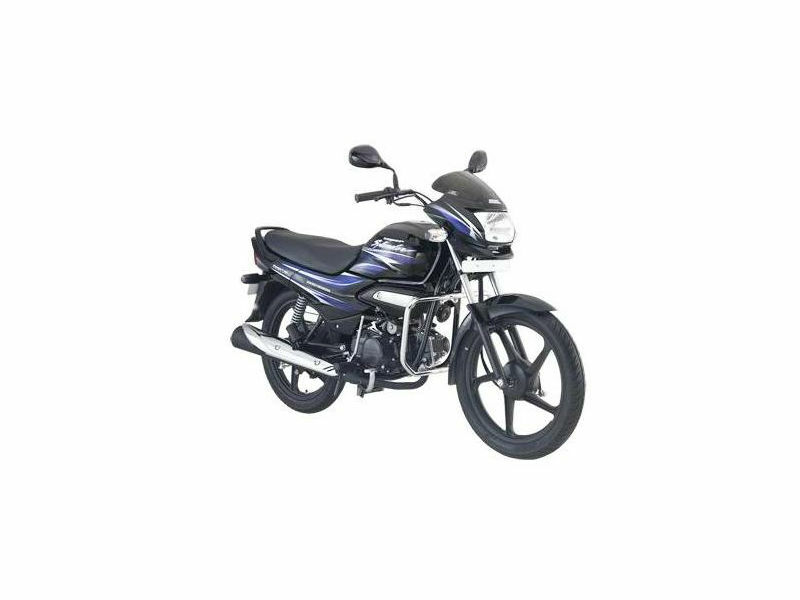 Coupled with some upgraded technology and style and with a large number of two wheeler commuters favoring the name 'Splendor', the new version Splendor Pro is expected to do well in the Indian market. Hero Honda has maintained the design of engine being in front of the transmission assembly. The 97.22 cc four stroke engine of Splendor Pro is air cooled with fins running over longer cross section of the engine. This ensures better heat dissipation and hence the engine does not get heated quickly after long running hours. A maximum torque of 8.04 Nm delivered at 4500 rpm shows the vehicles acceleration level at initial speeds. Splendor accelerates at an average rate in the mid range speed and it can hit a top speed of 95 to 100 km/hr. There is a digitally controlled capacitor discharge ignition system adopted in this engine which ignites the charge in this engine. The double cradle frame of the Splendor Pro fits the engine assembly neatly with the transmission system next to it. The company has retained many design specifications from the previous versions. 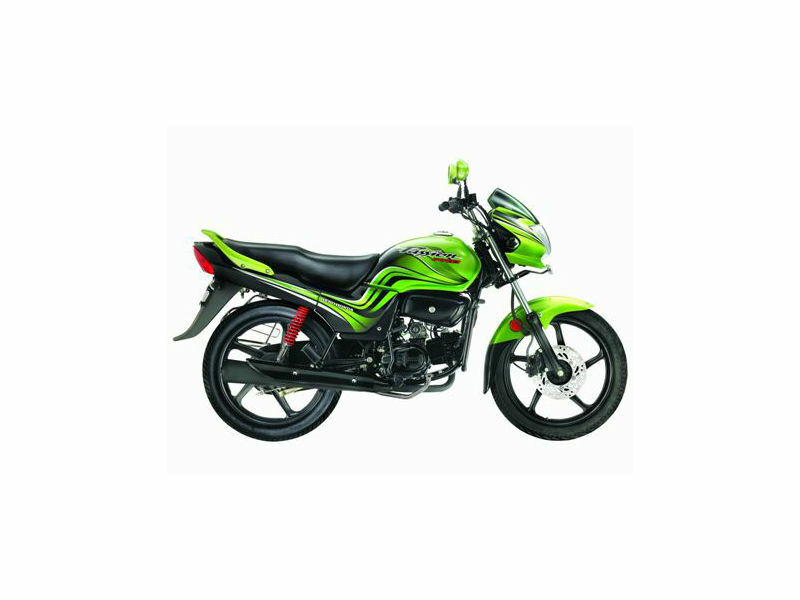 The wide and smoothly finished seats with the wheel fit with a swing arm adjustable shock absorbers at the rear ensures comfort to both rider and pillion. The wide and long carrier at rare is a good utility and the frame acts as a good support to the pillion. The body of Splendor Pro keeps a rider in upright position with not much load over his arms. 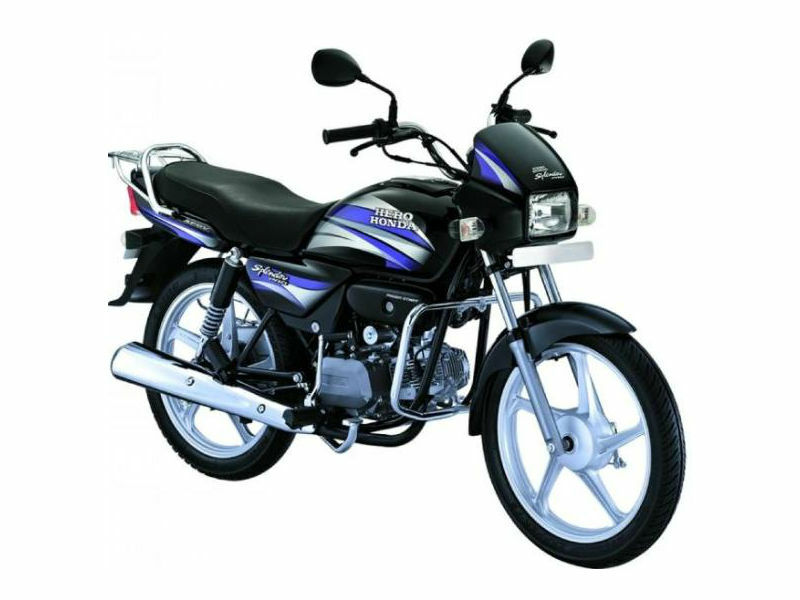 Splendor Pro has a good pick up at lower rpm and uses 4 gears to transmit power to rear wheel. The front wheel is given a hydraulic medium to absorb shocks and avoid it from being transferred to the rider through the frame. Both front and rear wheels have drum brakes which have brake shoes that expand outward to get in contact with the drum and break speeds on wheels. The treads on the tyre that form V shapes are unidirectional in nature (built for rotation in one direction). The tires are designed for a maximum speed of 150 km/hr and to Splendor Pro the tires fall in a safe range. The bike is expected to provide a mileage of 65 to 75 kms per litre of petrol depending on the road and riding conditions. The bike would cost approximately Rs 48,770 under conditions that would apply. There are eight color variants in which the bike is available. Black Monotone, Black with purple stripe, Candy blazing red, Cloud silver, excellent blue, heavy grey, Hi Granite blue and Palace maroon are the eight colors.